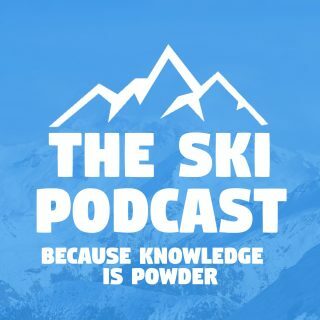 Anyone into podcasts or interested in trying them, please take a listen to 'The Ski Podcast'. We've been publishing since October last year and are now up to Episode 17 (excluding all our Winter Olympic specials). All feedback welcome - we're currently running at 800-1000 listens per episode across all channels. Think you've already got a sticky at the top of the page Iain (no idea why). Much though I enjoy the podcasts (can't remember the jingle sound level problem being as terrible in more recent episodes so maybe you got that sorted) does smell a bit spammy. Thanks Dave, I'll stick to that. Interviews with Billy Morgan, Chemmy Alcott, Graham Bell, Jamie Barrow, reports from Verbier and Val d'Isere, discussion on snow farming in Courchevel and even a bit of 007 ski chat. Thanks to everyone who's been listening - the audience has trebled since the summer, doubled since September! I've been catching up on a few of the older podcasts during the commute home this week after noticing a link on SH a week ago. Quite entertaining and a welcome ski fix until I head out to the alps in a few weeks. Lots of stuff discussed including the Swindon Snow Centre, interviews with someone who completed the Everest Ski Challenge, testing out the new ski area in La Rosiere and reports from Chamonix and St Anton. Hmm - losing a bit of credibility as guys who know about skiing by slagging off neoprene boot covers. Take it neither of you have ever skied somewhere seriously cold like interior Canada or US? Extra 5-10deg of warmth in your boots can be difference between frostbite and not. - Whether Moon Boots are hot or not? Just saw your little vid reviewing the new chairs in La Ros - recognised your voice from the Podcasts which I enjoy. Cheers! Enjoyed the latest version and looking forward to watching the Beyond the Pistes movie later. Have to say I wasn't overly sympathetic to the plight of the Ticket to Ride guy. It's interesting I agree. Many British tour ops have had an (unfair) advantage over French employers for years. That definitely seems to be coming to an end. I thought it was quite funny particularly when immediately juxtaposed with your review of a tech/ tinfoil paranoia wallet. Fair point, I was not convinced by the 'smart' wallet as you might have been able to tell! Good to hear from you Amunah - maybe work backwards as I think we have the sound quality sorted now. Some of those early episodes were nasty! - Is Japow as good as its reputation? - Why did Ski Val go bust? Episode 33 of The Ski Podcast has been live for a week now. Have a listen and give us your feedback - I'm particularly interested to know if you think it should be shorter at say 30 minutes per episode? I must admit I did zone out a bit this week (listening while doing something else) and didn't feel the need to rewind. Don't know exactly what that means but maybe something sharper and punchier would hold attention more. You can experiment of course. I listen regularly and enjoy the podcast. I wouldn’t say that an hour is too long. I hope that you’re enjoying La Clusaz/LGB - it’s one of my regular haunts and a lovely place. @iainm, just caught up with episode 33 [dog walking duties again ] and have to say great content particularly to hear about property development in Samoens. I am happy with the length of podcasts, guess those who think they are too long could always listen in 'sections' in any event. If Jim wants to come over to VT next week we could always have a ski off and a beer. Good idea Michael, it's still a trek, but I think he should do it! Dave is it 13-20 you are there or 20-27? @joy zipper @michaelbury17 @Dave of the Marmottes thanks for the feedback. That comment on the length came from one person who told me that they thought it should be shorter. Now three regular listeners say they think it's okay. Most of the podcasts I listen to are either 30 mins (The Film Programme, Friday Night Comedy, 99% Invisible, TMS) or an hour (various football/movie pods). Some go on and on (GoT pods), but they have something specific to cover. I think we'll stick to the current format, but try and make sure it always comes in less than an hour. But not sure about that segment on buying property in the last podcast. Seemed to be an ad dressed up as content so an advertorial at best. Good spot @ster it actually was advertorial, but it was done right at the last minute, and I don't think the format was right. Hopefully it will be better/more obvious/better content next time.